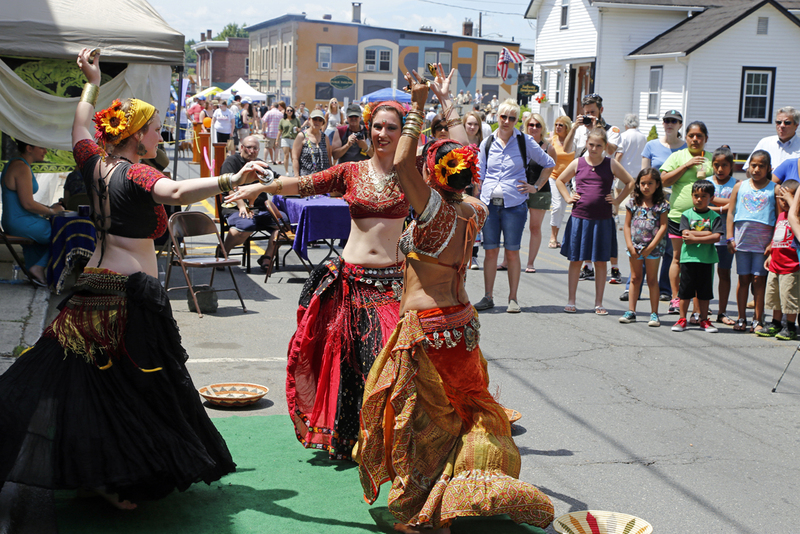 Easthampton recently held a second street festival in it's Cultural District. 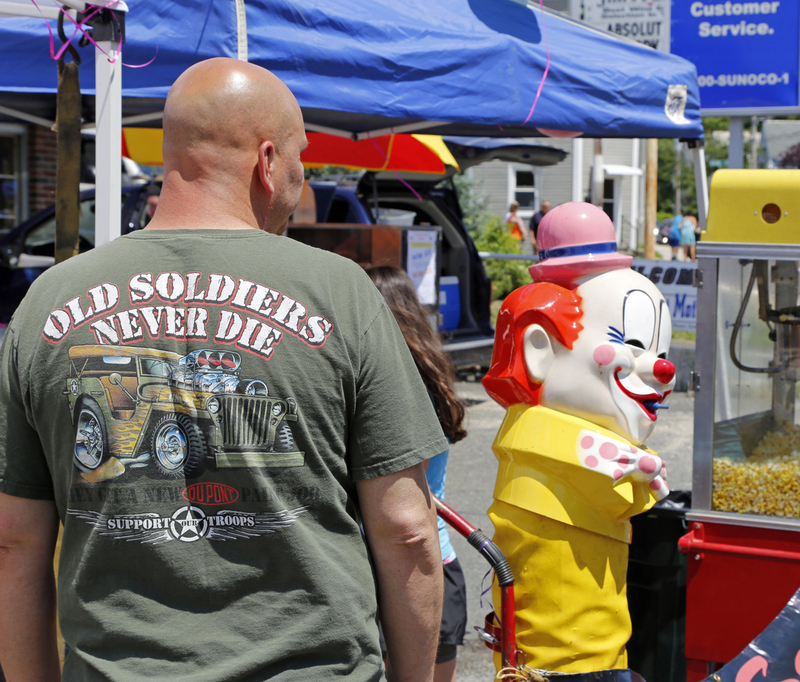 The festival was on June 13 and will continue to become a yearly event. This festival is called Cultural Chaos. It takes place throughout all of the Cottage Street Cultural District. There is something for everybody. Lots of entertainment. There were 3 designated stages , two of which capped off each end of Cottage Street. A few more areas were utilized for additional performances. Artists and craftspeople displayed their work and offered it for sale. Food and beverage was available throughout the festival. 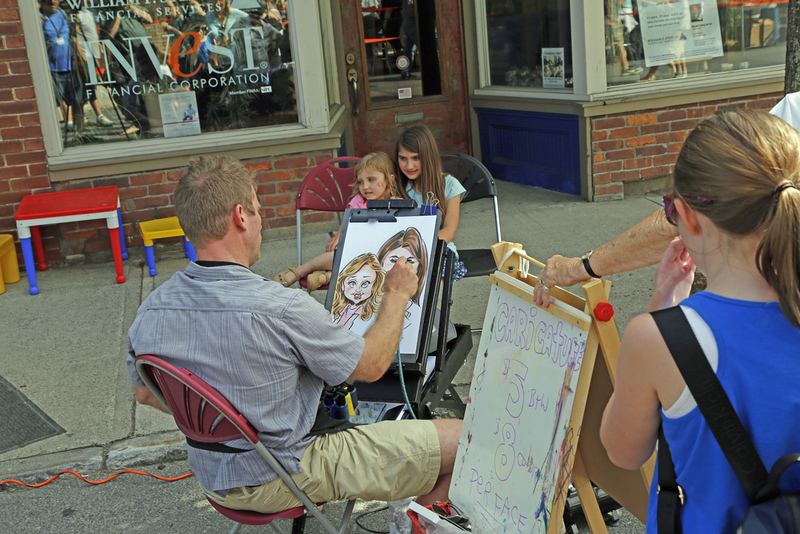 As the festival came to a close the monthly Art walk started to let people continue their enjoyment of the day. The newly constructed boardwalk around Nashawannuck Pond had its official dedication ceremony. A ribbon cutting for a large mural at the other end of town was also done later with the mayor again in attendance. Bands could be heard throughout the day. Walking from one end to the other gave anyone non stop fun and an enjoyable array of entertainment. Activities for children and teenagers were easily found. 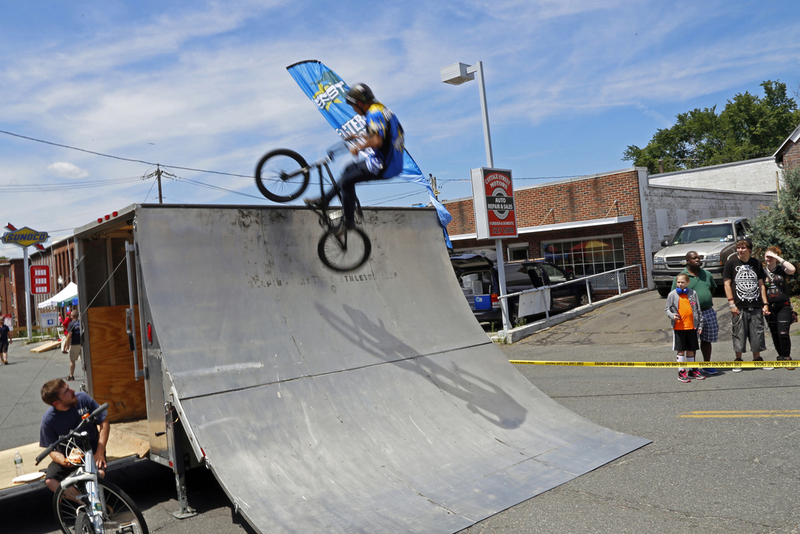 A freestyle BMX bike show captured the interest of all age groups. 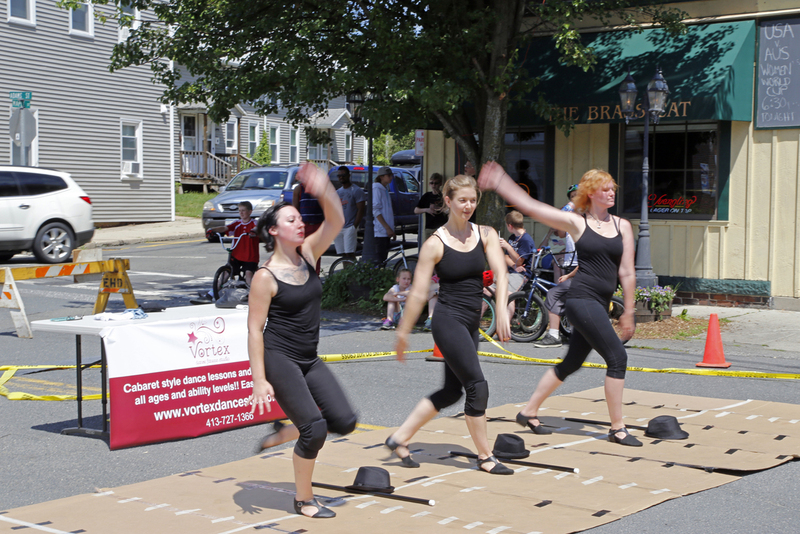 Performers from the Show Circus Studio school walked all along the festival street. 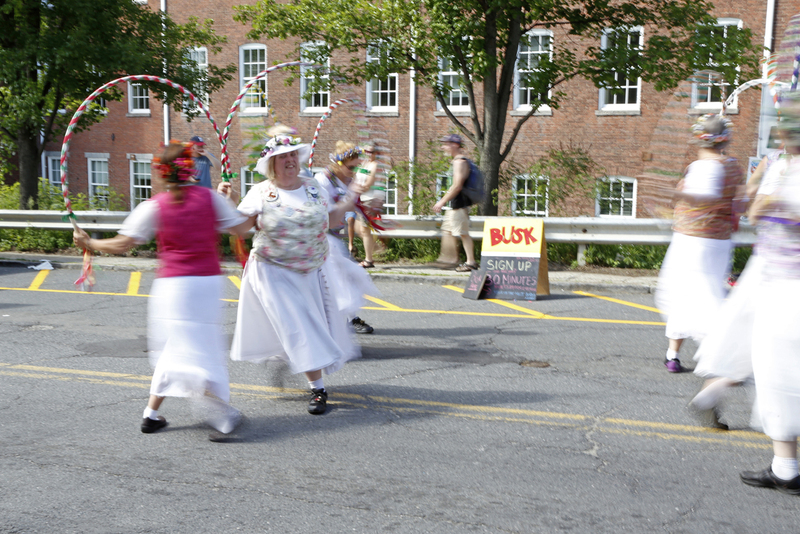 There was a vintage motorcycle show , comedy and dance groups. Modern dance and ethnic dance filled the performance spaces. Merchants had displays outside of their stores. 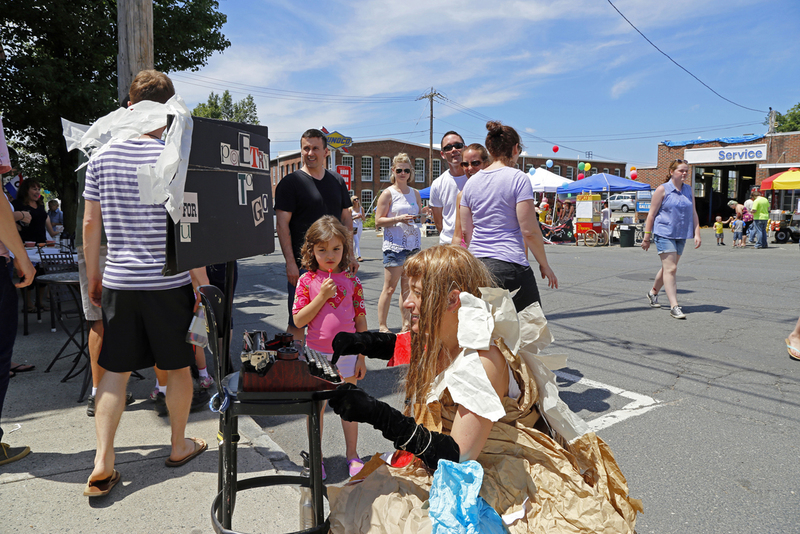 Sidewalk sales and demonstrations of crafts were seen during the day. Near the pond area was a Maker's Market. Tents were set up by artists showing the work they do and had artwork for sale. One Cottage Street also had an Open Studios event where visitors could meet artists and see their studio . 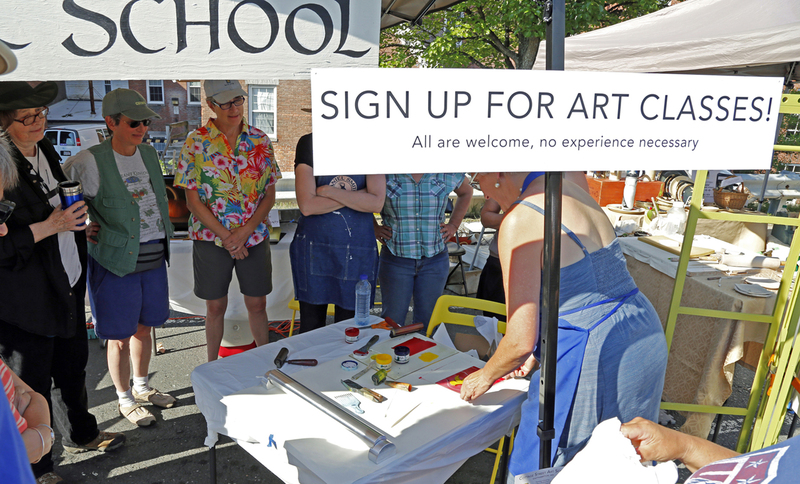 The Cottage Street Art School had a tent at the festival. Here visitors got to see painting and printmaking demonstrations. There were teachers showing their work and speaking to potential students. 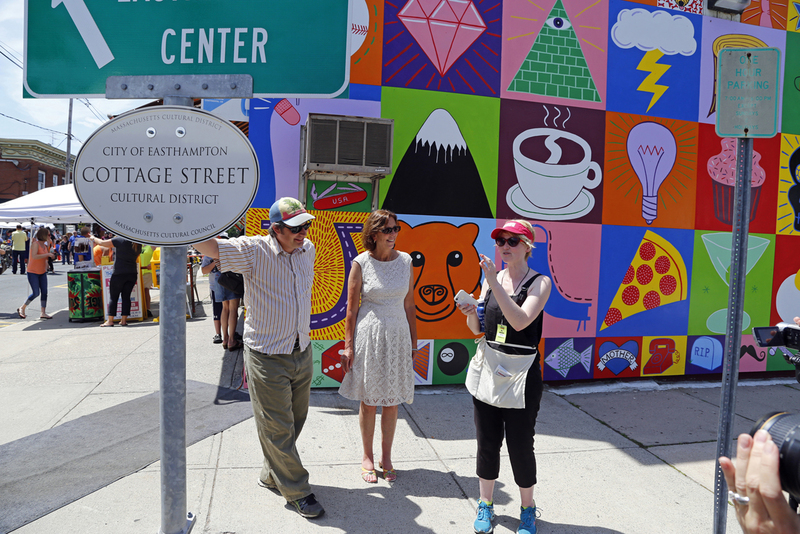 The Cottage Street Cultural District designation was awarded to Easthampton in 2013. 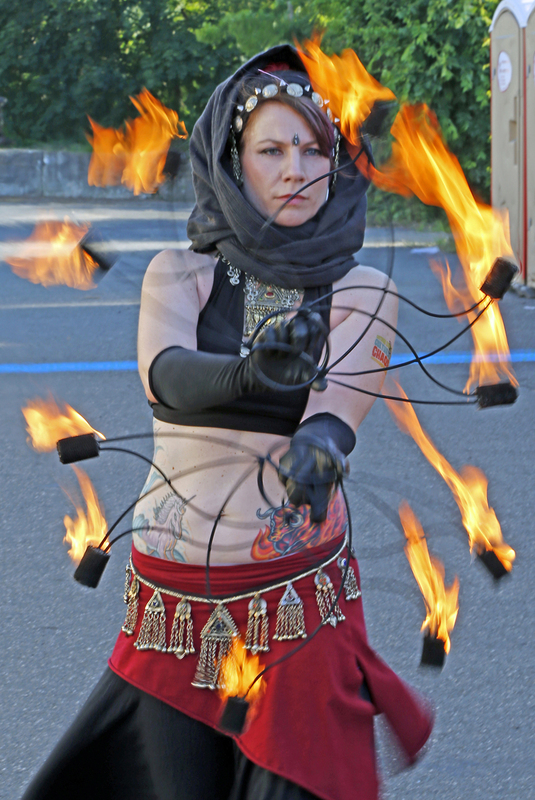 The first Cultural Chaos street festival occurred the following year. This year the promenade around Nashawannuck Pond was completed. 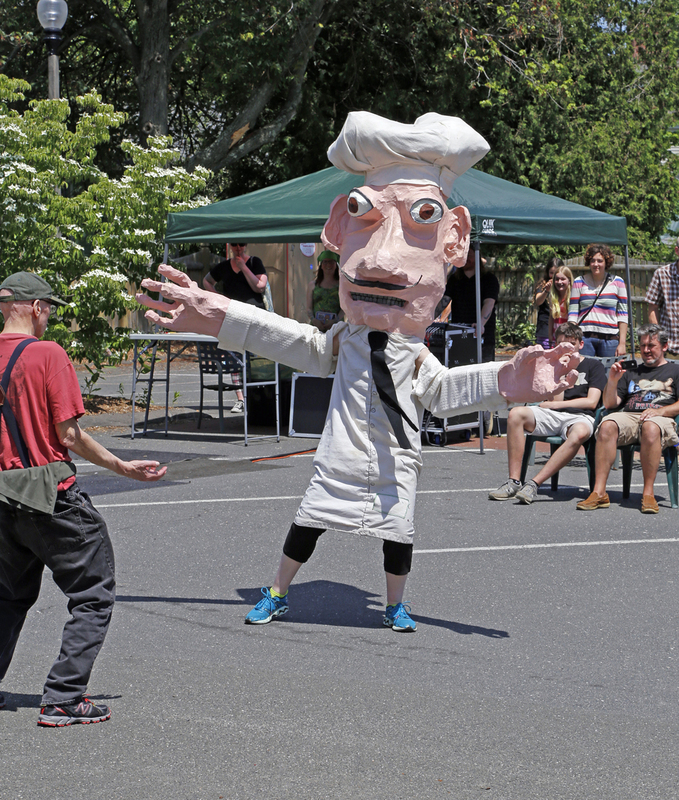 Many people have viewed Easthampton as a sleepy mill town. 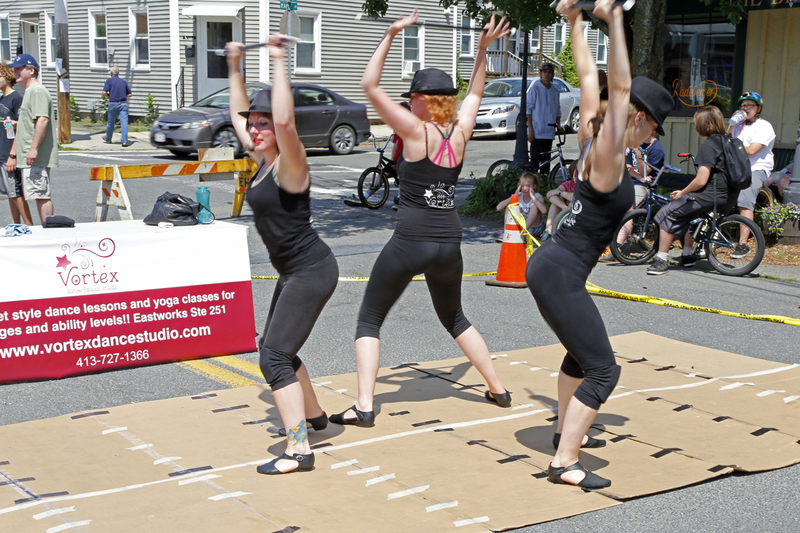 Artists have been moving into Easthampton for a number of years. 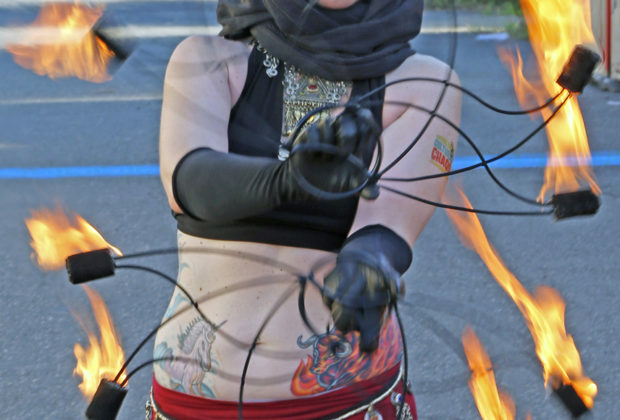 The community of artists along with the local business community help make Cultural Chaos a successful event. Organizers and volunteers worked many long hours to create this event. It reminds me of Brooklyn and the beginning of that art scene from years ago. And I mean that in a good way. 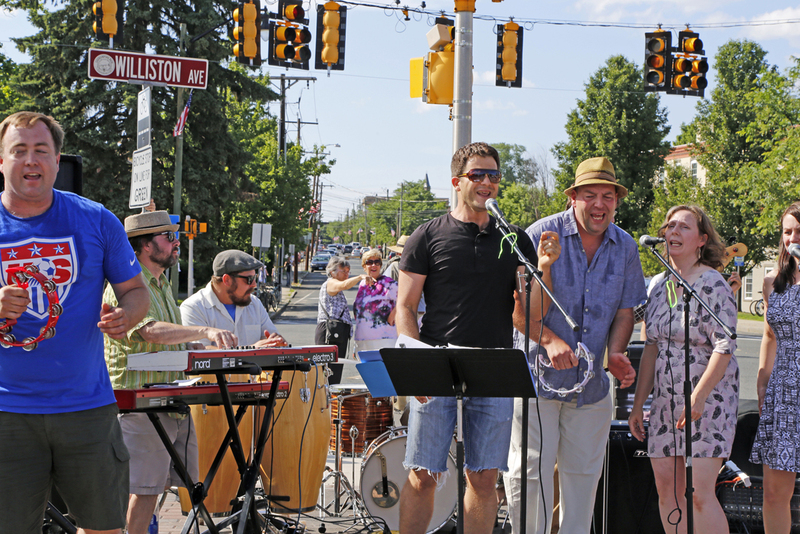 Easthampton is adding a real Brooklyn flavor to the Pioneer Valley. 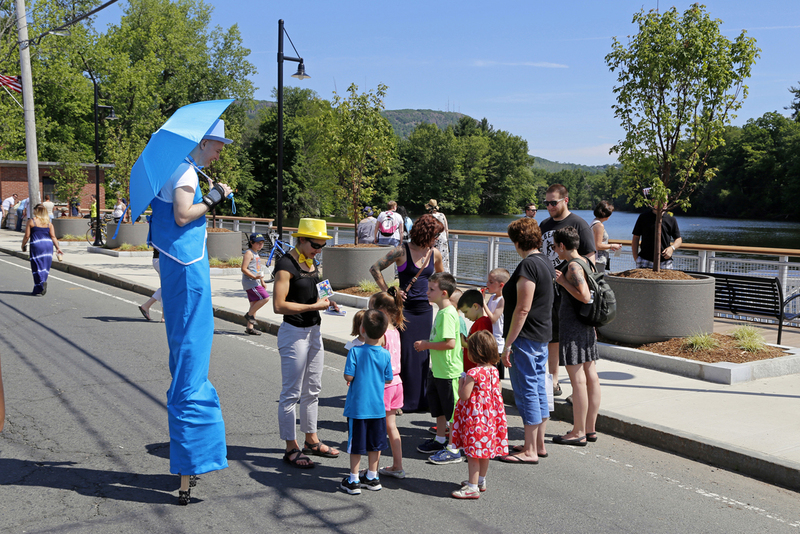 Cultural Chaos began around 12 noon with a ribbon cutting ceremony for the boardwalk at Nashawannuck Pond. 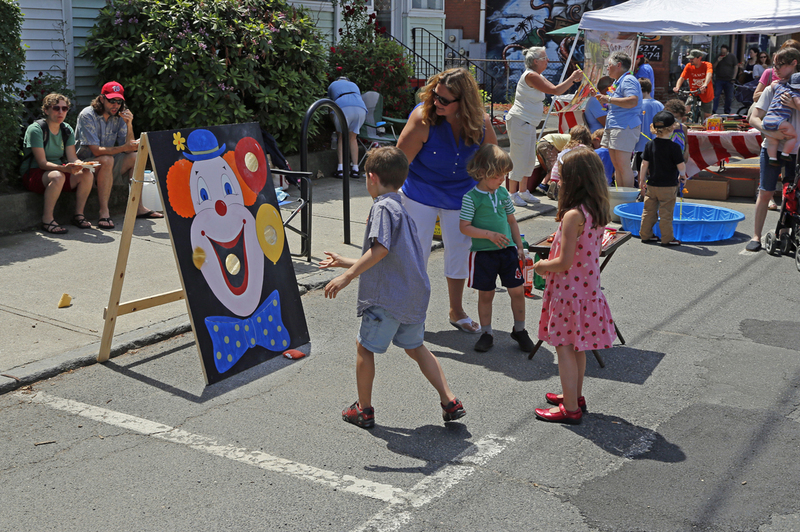 A large group of people were in attendance including the Mayor of Easthampton and organizers from the arts and business community. Also at the ceremony was Easthampton's first and former mayor Michael Tautznik with his wife Debra. 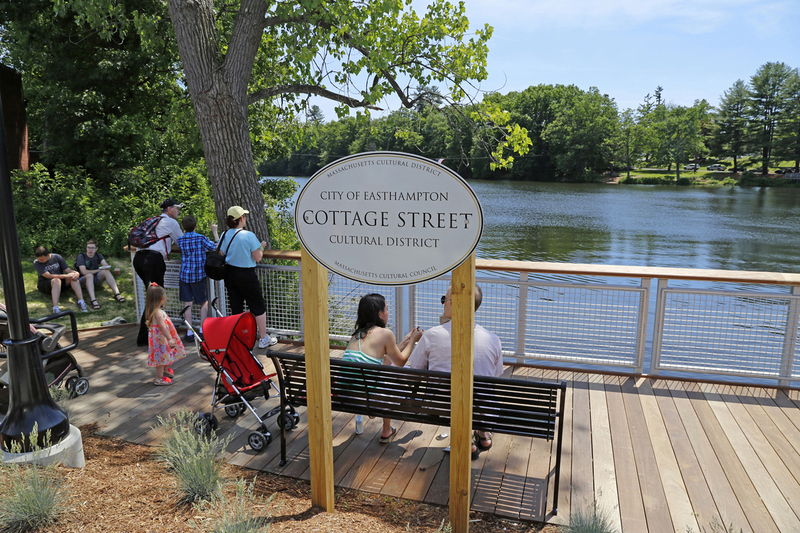 Both were involved along with others to help make the promenade a reality around the pond. Debra was working as a volunteer at this year's event. She was really enjoying it according to her mother. It certainly was an important event for Debra who was known as an artist and environmentalist who volunteered her time for such causes. Tragedy struck a couple of hours later when Debra fell down a flight of stairs during this event. There has been media coverage regarding this fatal accident. The community is still stunned and deeply saddened by the loss of Debra Tautznik. Debra Tautznik will always be remembered as a generous volunteer who loved the arts and the environment as well as Easthampton . Our sincerest condolences go out to Michael Tautznik and family members during this very difficult period in their lives. John is a photographer, painter and writer. He moved to the Pioneer Valley 10 years ago from N.Y.C.